My high hope is that they who entered through the Open Door of Holton-Arms remember that they felt, in the friendliness of a home, the urge to learn and the joy of overcoming obstacles as the way to happiness and the fullest life. 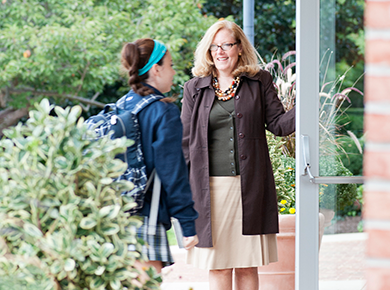 Mrs. Holton, of course, referred to the actual door of the school building, but today you can enter into the school through the open door of our website. 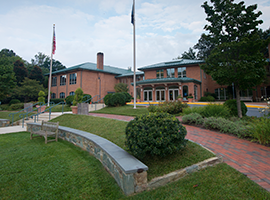 Just as Mrs. Holton and her co-founder Carolyn Arms invited girls into the School, we invite you to browse our site and learn more about how our school continues to live by the values Mrs. Holton and Miss Arms established more than a century ago. As you explore, we hope you can see and feel what makes Holton-Arms different. 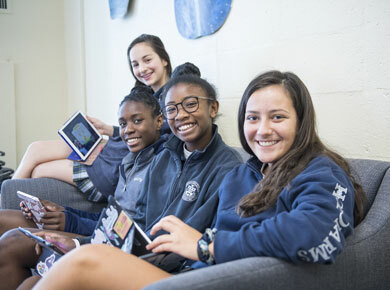 Our School provides a sincere and warm environment populated by a diverse group of smart girls and dedicated teachers who demonstrate the "urge to learn" every day. As we develop each student's passion as life-long learners, we take advantage of educational opportunities locally, globally and virtually. So please, come through our Open Door. 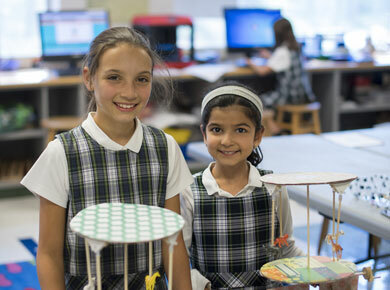 Explore this school where girls learn and grow in an environment that respects and encourages each of them in their individual gifts and talents. Welcome to Holton-Arms.